This nocturnal badger likes to seek out the tastiest roots and berries in woodlands. 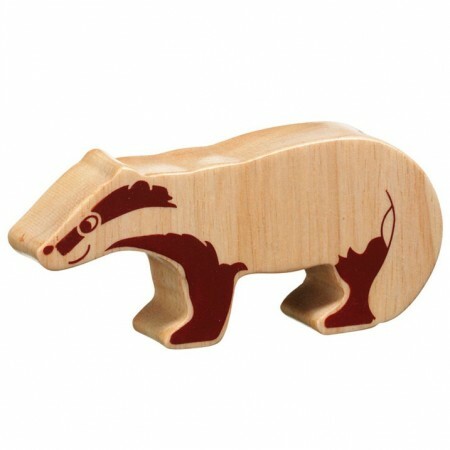 This figure has been hand-crafted from sustainably managed rubberwood and has painted markings to add character without detracting from the natural beauty of the wood. 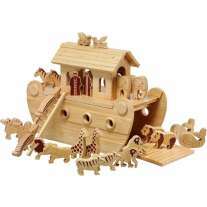 This fair trade animal is perfect for teaming up with other wooden animals from the natural figure range and is compatible with the Noah's Ark set by Lanka Kade. This figure measures 4.8 x 10.7 x 2.5cm.